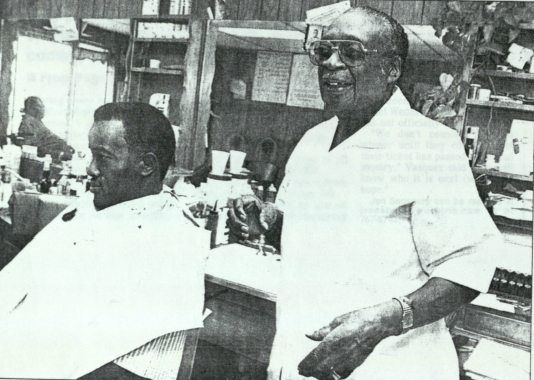 Longtime barber Cicero Martin gives a customer a haircut in 1999. In 1944, haircuts cost thirty-five cents. By 2001, prices had risen to eight dollars. Many generations visited the Jockey Club and took their sons and even grandsons for haircuts there. This service that cultivated relationships and community was a defining characteristic of the barbershop.